We’ve known that there’s a new Bentley Flying Spur coming for a while now and, as you can see from our review below, we got an early look at Panamera test mules doing the dirty work. 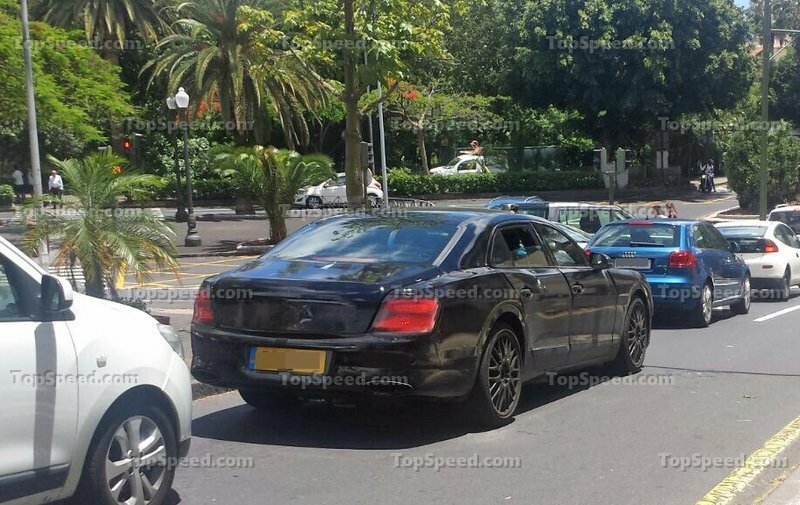 More recently, we spotted the Flying Spur Hybrid nut that doesn’t compare to what Bentley has graced us with today. We get a look at a sketch of its side profile to go with a video of the new hood emblem in action. 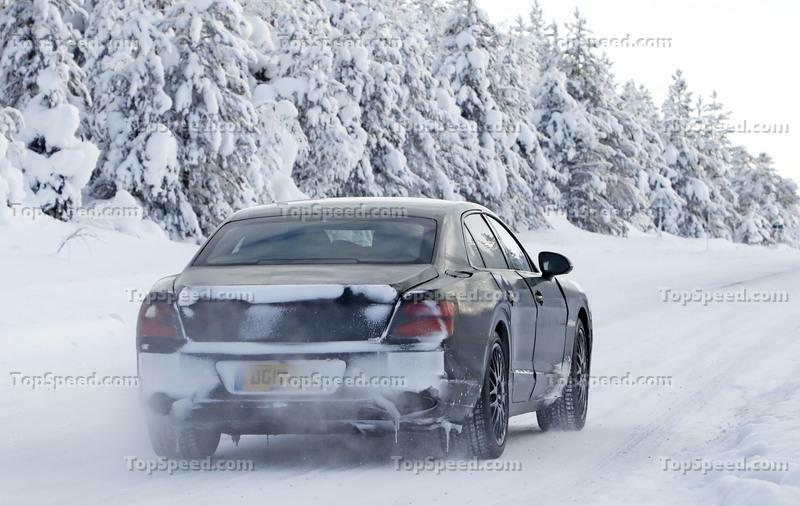 We’re not sure when the new Flying Spur will make its debut, but it should be sometime soon. 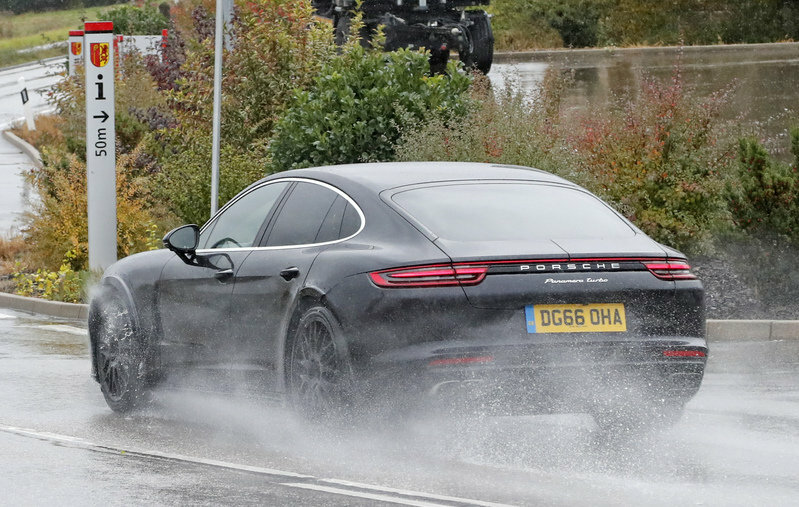 While the Panamera mule provided no details as to how the next-generation Flying Spur will look like and the more recent test cars wore camouflage that resembled the outgoing model, that’s not to say we are clueless on its exterior design. Much like the current model, the upcoming sedan will be a four-door version of the Continental GT. And before you say that the Conti has yet to show itself in public without camouflage, we already know that the coupe will borrow numerous features from the EXP10 Speed 6 concept. And the latest spy shots confirm just that. 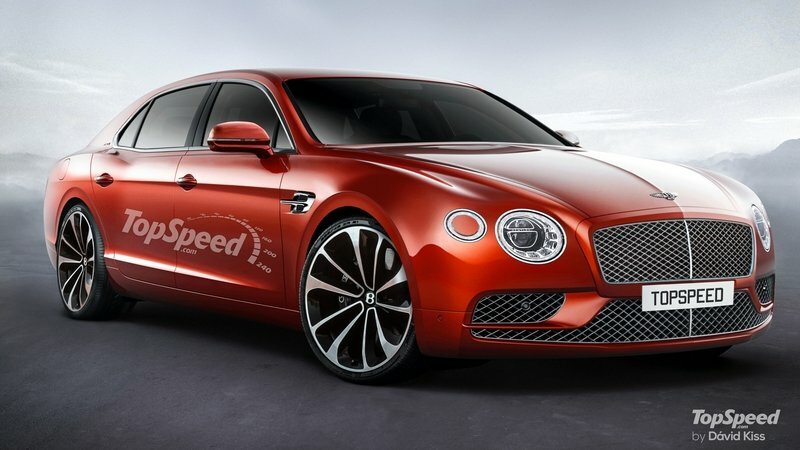 Much like the current model, the upcoming sedan will be a four-door version of the Continental GT. 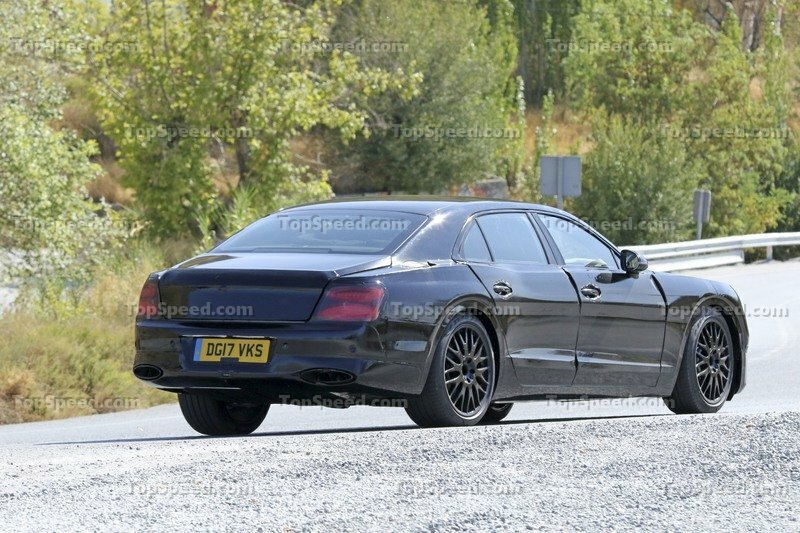 That being said, I expect the Flying Spur to share most if its front fascia with the Continental GT. Notable features will include the quad headlamp layout with smaller lamps toward the sides, a lowered nose, and a wider grille placed lower into the fascia, as well as a sportier bumper with big side openings. A sculpted engine hood is also on the table, but with more subdued, elegant lines compared to the Continental GT. Onto the side, the front fenders and doors will be identical for the most part, but most features will change toward the rear. Naturally, the Flying Spur will get a second pair of doors, a longer wheelbase, and redesigned rear fenders. The latter will continue to sport a muscular design, but this is where the sedan will stand out as a more graceful version of the Conti GT. The rear end is a complete mystery, but I expect Bentley to retain the rectangular taillight configuration, albeit in a longer and slimmer shape. The long decklid, raked D pillars, and imposing bumper should round off this area. As mentioned above, we used many of the EXP10 Speed 6 concept’s features to design the next-generation Flying Spur. This is most visible up front, where the main headlamps flanking the grille are joined by smaller lights toward each corner. These are smaller than the ones seen on the outgoing model and now have their center sections covered, meaning they look like thin LED rings. The main grille retains the already traditional shape, but it now sits closer to the ground, thus lowering the nose for a sportier stance. Below, the Flying Spur should feature a three-piece grille configuration with two wing-like elements separating the cooling vents in the upper corners. The profile of the rendering is very similar to the current model, but we can see a revised fender vents, redesigned side windows, and more muscular rear haunches. Note: Bentley Continental GT pictured here. 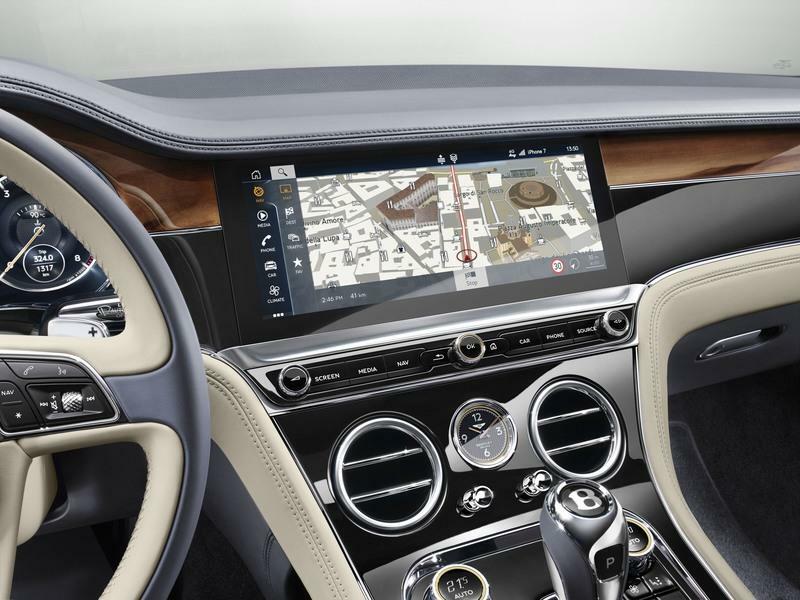 Just like the Continental GT, the Flying Spur's interior will take cues from the EXP10 Speed 6 concept. 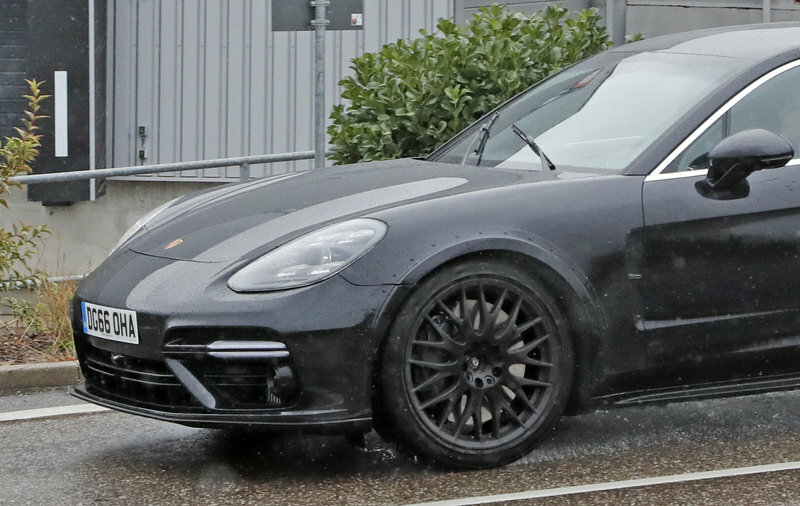 Our paparazzi didn’t manage to get close enough to snap shots of the interior, but given the Panamera body, there a big chance that the cabin is also made of Porsche parts as of this writing. However, with the Continental GT’s interior having taken cues from the EXP10 Speed 6 concept, the sedan could go a similar way. 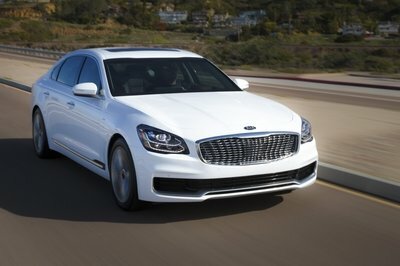 If so, the Flying Spur will get a sporty yet elegant cockpit with a wide instrument cluster, a wrap-around dashboard that extends into the door panels, and maybe even the tall center console that separates the front seats in the coupe. The GT’s new infotainment display should also find its way into the sedan. Called the Bentley Rotating Display, it’s a 12.3-inch touchscreen housed in a three-sided unit that revolves in the center stack. When the car is not in use, it appears to be no screen in the centre of the dashboard, with the wood veneer flowing uninterrupted across the dashboard. When the engine start button is pressed, however, the veneer in the center stack glides forward and rotates to reveal the configurable screen. The third side of the Rotating Display reveals three analogue dials displaying outside temperature, a compass, and chronometer. The new instrument cluster will be equally modern with two digital clocks with 3D LED lights that make the dials seem analogue and a big screen in the middle for high-resolution images and information. We should find new veneers on the dashboard and center console too, including a dual-veneer. Most surfaces will be wrapped in fine leather with contrast stitching, Alcantara, and many other options from the Mulliner division. The 20-way adjustable seats should have heating, cooling, and massage function as standard. 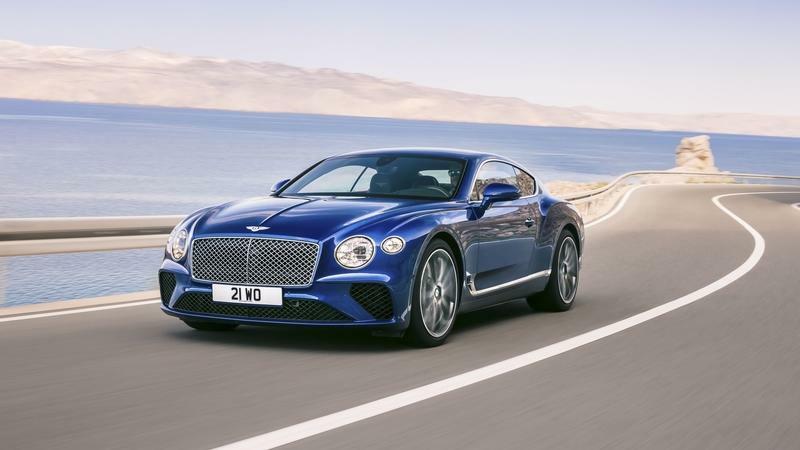 Apple CarPlay, real time traffic, and Private eCall for emergency services are just a few of the convenience features that Bentley will transfer from the Continental GT. All told, no one will have a reason to complain about the car’s interior, whether they’re driving or resting in the back seat. The redesign should also bring a few changes under the hood, but given the new platform, these are mostly unknown as of this writing. Word has it the Flying Spur will share some engines with the Panamera, which makes sense given the Volkswagen Group’s current strategy. 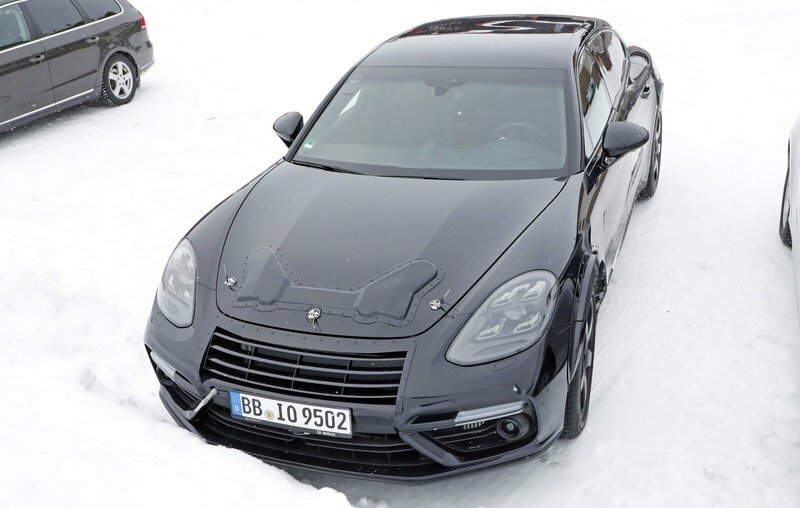 The most likely candidate for the Flying Spur is the revised 4.0-liter V-8 offered in the new-for-2018 Panamera Turbo. The twin-turbo unit cranks out 550 horsepower and 567 pound-feet of torque and it could make it into the Bentley with minor changes. 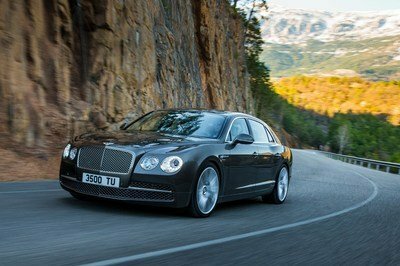 For reference, the current 4.0-liter V-8 pumps 521 horses and 502 pound-feet in the Flying Spur V8 S. It’s not yet clear whether or not Bentley will get the 2.9-liter V-6, but if it does, it will generate around 450 horsepower and 415 pound-feet of torque in the base Flying Spur. Now that Bentley has already launched its first-ever diesel model in the Bentayga lineup, the Flying Spur could also get an oil burner. 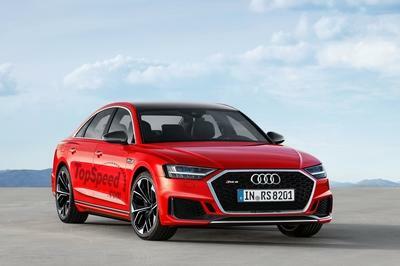 Naturally, the sedan will share the 4.0-liter V-8 with the SUV, which currently benefits from 429 horses and 664 pound-feet. The W-12 engine will likely continue to be an option, but the current unit will be replaced by the redesigned engine that debuted in the Bentayga and then found its way into the new Continental GT. 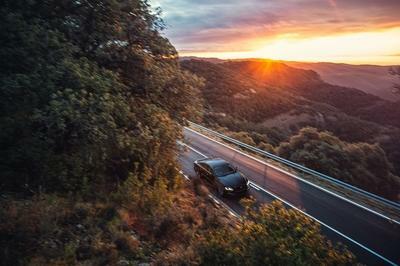 Also displacing six liters and using two turbochargers, the W-12 cranks out a massive 600 horsepower and 664 pound-feet of torque in the SUV, and 626 horses in the coupe. Any of these configurations should push the four-door from 0 to 60 mph in less than four seconds and toward a top speed in excess of 200 mph. Finally, I wouldn’t be surprised if the Flying Spur also gets the Panamera’s hybrid drivetrain. 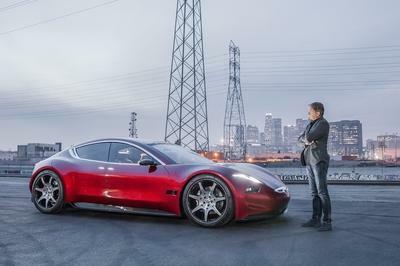 The combo pairs a twin-turbo, 2.9-liter V-6, an electric motor, and a lithium-ion battery and delivers 462 horsepower and 516 pound-feet of twist. It can also travel for 31 miles on electric power alone. 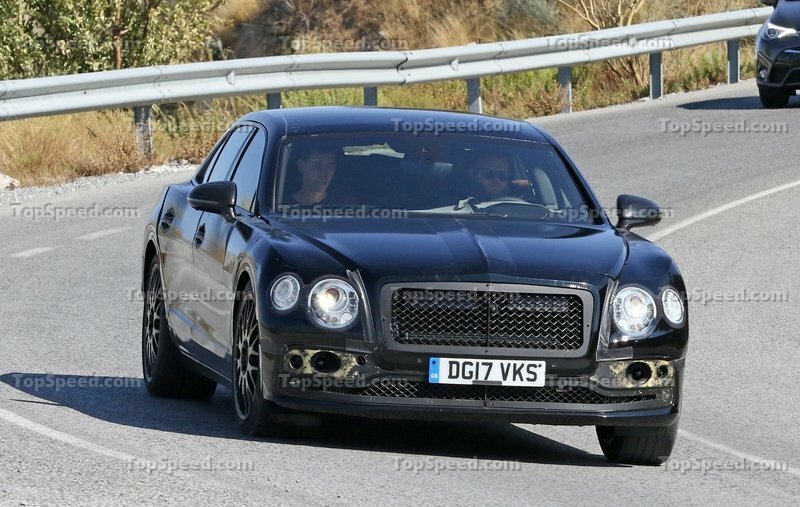 This drivetrain will most likely find its way in the Bentayga first, and that’s when we will find out more about the configuration Bentley is planning to use. With the production model set to arrive in late 2018 or early 2019, it’s definitely way too early to talk about prices. However, it’s safe to assume that the base model will cost in excess of $200,000, while the range-topping W12 version will fetch at least $250,000 before options. The Ghost is the Flying Spur’s traditional rival as it can offer the same amount of opulence and performance. On the market for six years as of 2016 and updated in 2014, the Ghost will most likely receive a complete redesign by 2019. The next-gen Phantom is already scheduled to arrive in 2018, so it’s safe to assume that a new Ghost will follow suit. Unlike the Flying Spur, the current Ghost is a V-12 machine only, as both the standard and V-Specification models are powered by a twin-turbo 6.6-liter V-12. The first version comes with 562 horsepower and 575 pound-feet of torque, while the latter benefits from 592 horses. The next-gen model should come with a revised V-12, but a hybrid or even an all-electric version are on the table too. Likely to retail from around $300,000, the Ghost will be a much more expensive proposition, especially when compared with the less powerful, non-W-12 Flying Spurs. 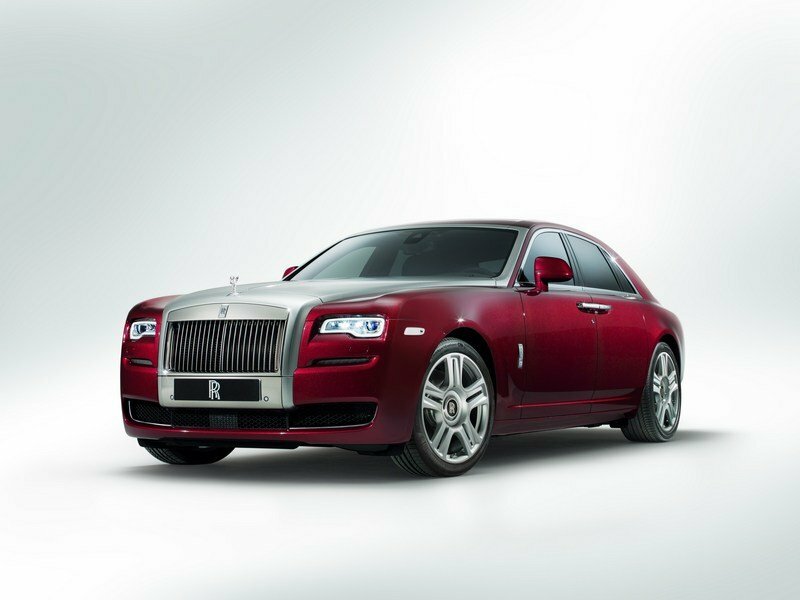 Find our more about the Rolls-Royce Ghost Series II. Discontinued in 2012, the Maybach brand returned in in 2015 as Mercedes-Maybach. Now selling mildly revised S-Class models equipped with far more luxurious interiors, Maybach has two vehicles on offer. 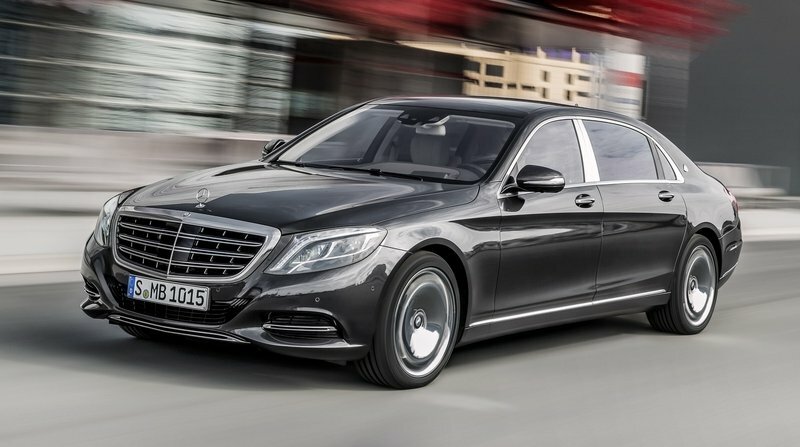 The base model is called S500 and uses a 4.7-liter V-8 rated at 455 horsepower and 516 pound-feet of torque. The second, more expensive version, goes by the name S600 and uses the larger, 6.0-liter V-12 with 530 horses and 612 pound-feet of twist. While the exterior of the Mercedes-Maybach is identical to the S-Class, the cabin is a different story, sporting the most luxurious features Mercedes-Benz has to offer. The wheelbase is also longer, providing more room for rear-seat passengers. It’s also more affordable too, with the range-topping S600 starting from $189,350 in the U.S. However, Maybach offers plenty of options to take that sticker beyond $300,000. Learn more about the Mercedes-Maybach S-Class. 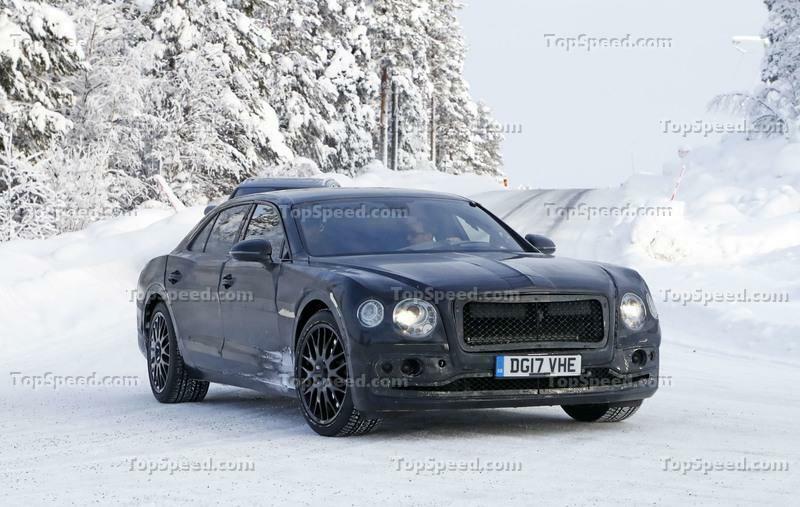 It’s definitely too early to draw a conclusion here, but based on what Bentley did with the Bentayga, the next-generation Flying Spur should bring improvements in just about every department. The sedan should get more power, more luxury, some of the most ludicrous and expensive options on the market, and a sportier design. More importantly, it will also become more fuel efficient with either a diesel or hybrid drivetrain. Or both. 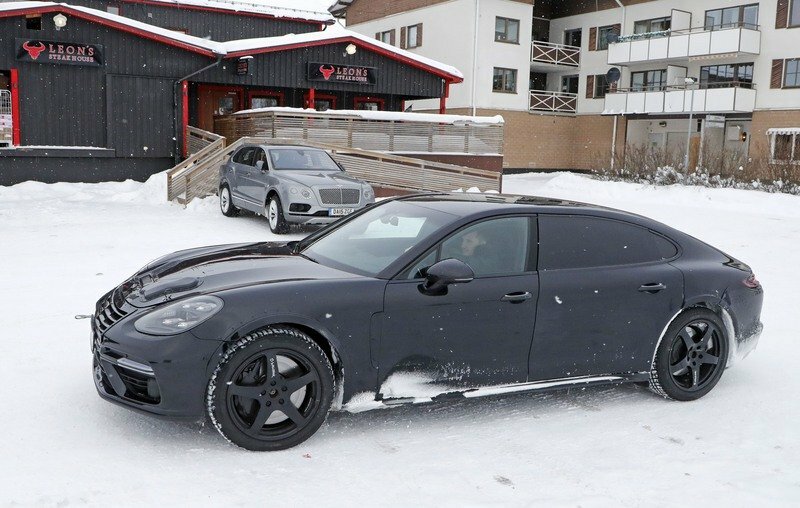 Updated 02/13/2018: Our spy photographers caught the new generation Flying Spur out for a new testing session in Sweden. The new car is expected to debut in late 2018 or early 2019. 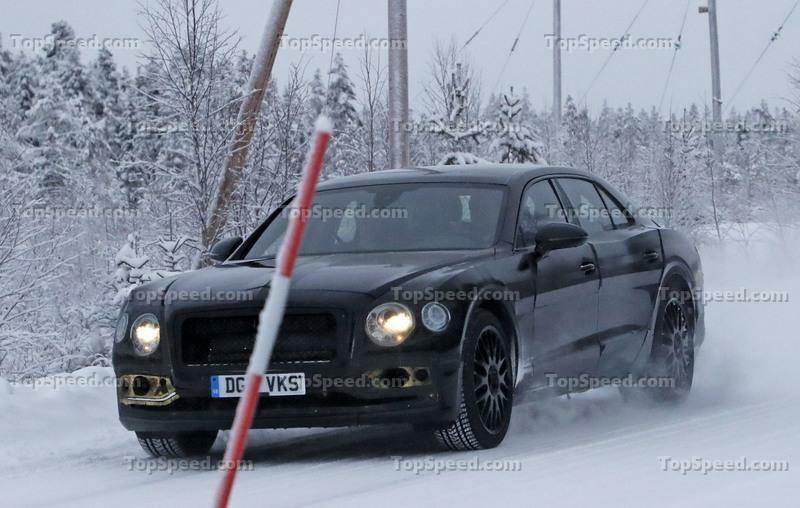 Updated 12/20/2017: Our spy photographers caught the upcoming Bentley Flying Spur out for a new testing session. 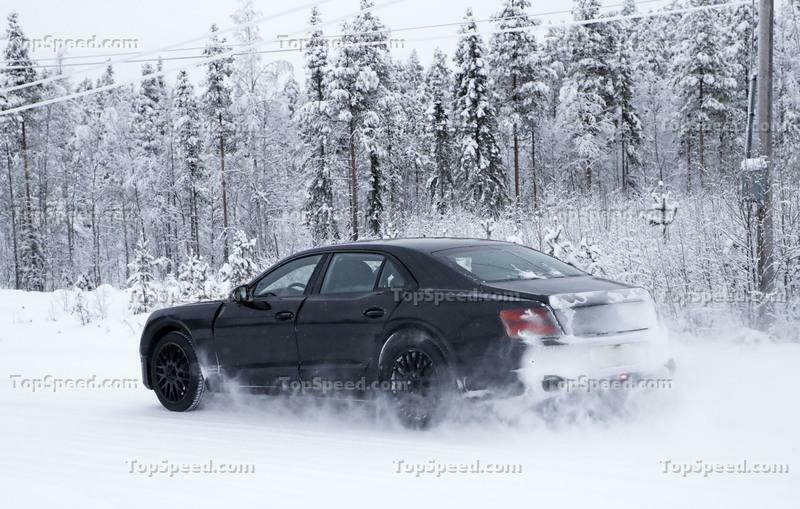 This time the luxury sedan was caught out, playing in the snow. 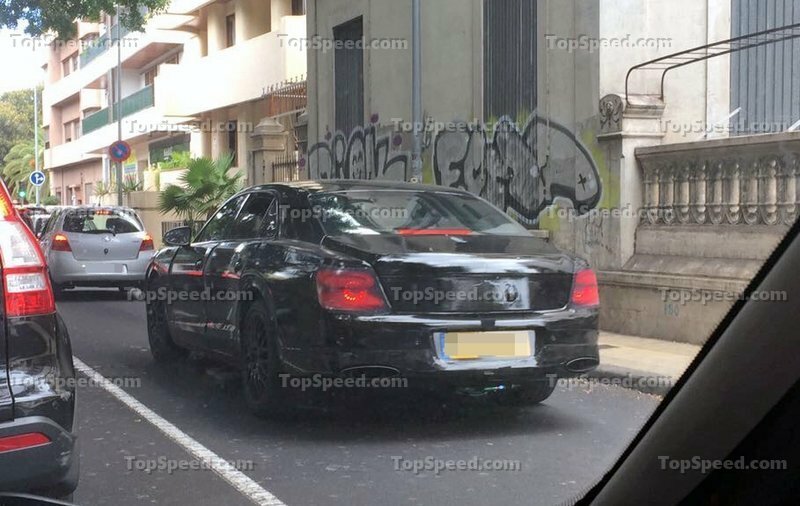 Updated 11/02/2017: The upcoming Bentley Continental Flying Spur was caught testing once again, still wearing a great amount of camouflage. 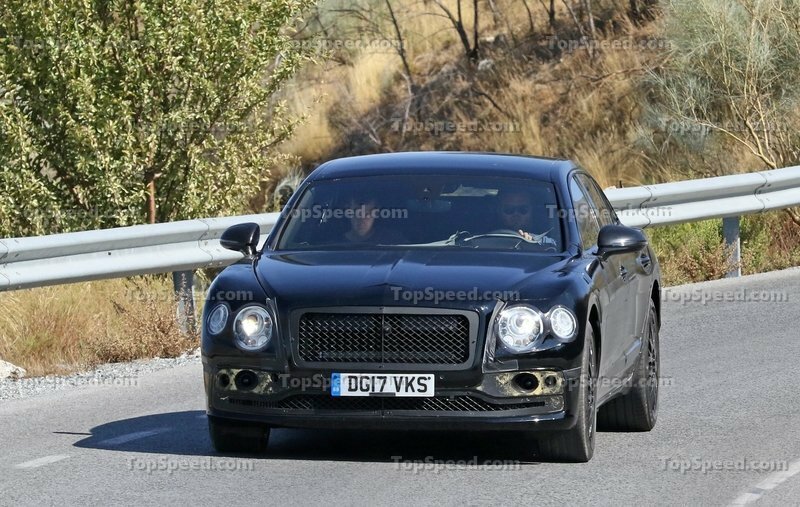 Updated 06/06/2017: Our spy photographers caught the upcoming Bentley Flying Spur out for a new testing session this time wearing a real body prototype. Updated 06/01/2017: Based on the recent spy shots and rumors, we created a rendering for the upcoming Bentley Flying Spur. Let us know in the comments section below what do you think about it!